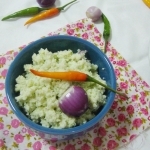 This is a simple onion salad from Sri Lanka. 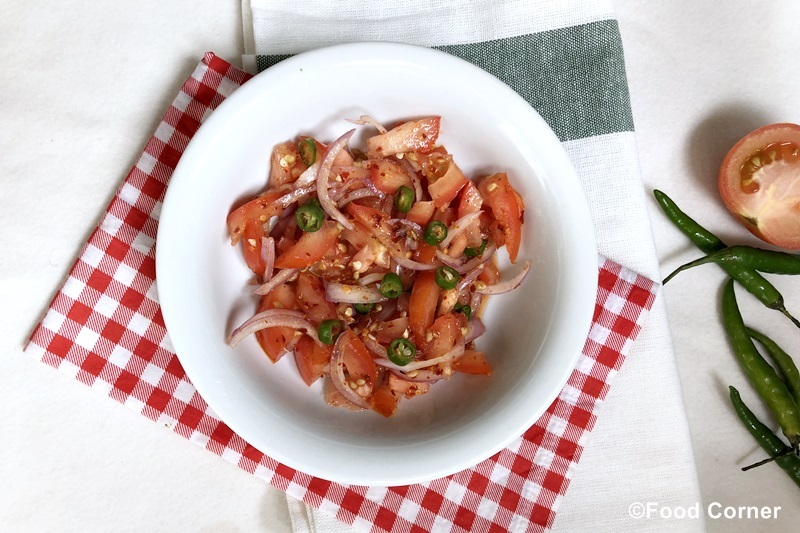 We call it as ‘thakkali sambola’ .For most of the Sri Lankan salads, this onion and tomato salad is the base. 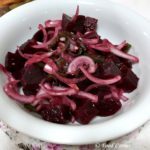 With same ingredients and method, we can make it a cucumber salad, carrot salad or even a beetroot salad. 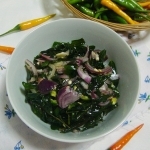 Salad base is same for most of these different Sri Lankan salads.Simply remove tomato from your salad when you use other ingredients such as carrot or cucumber. 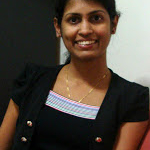 Anyway, in Sri Lanka, we also enjoy ‘Katta Sambal’ which is more hot and spicy with added red chili flakes. 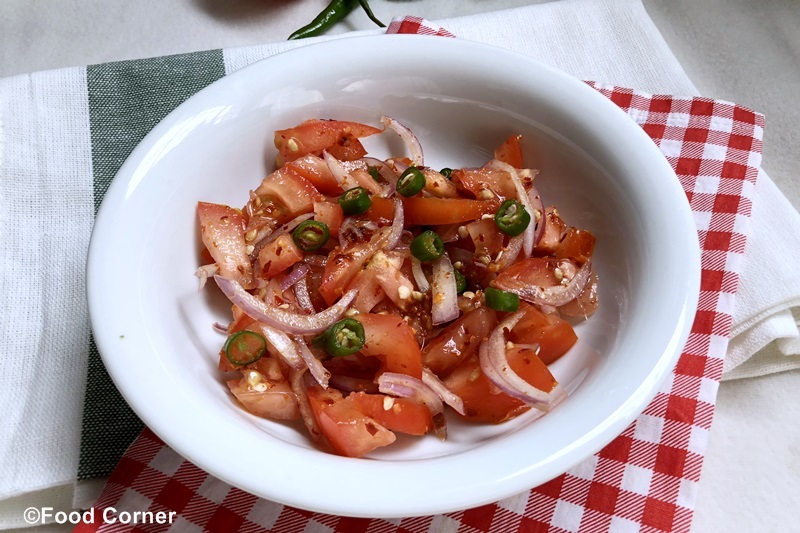 But this Tomato and Onion sambol (or thakkali sambola) is not that hot. 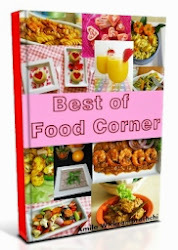 If you want it to be more hot, then add more green chillies, red chili flakes and black pepper powder. Wash, remove skin and Slice onions. 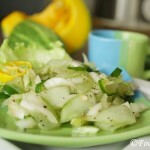 Slice green chili too. Cut tomato into small cubes or bite size pieces. 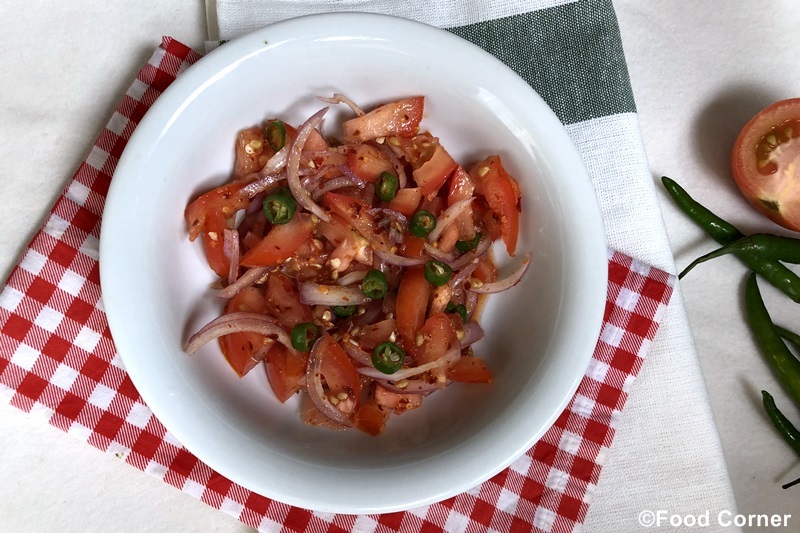 In a bowl, combine onion, green chilli ,red chili flakes and tomato. Add salt and crushed black pepper as per taste. Add lime juice and mix the ingredients well. 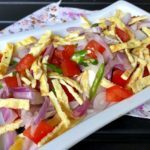 A simple onion and tomato salad or thakkali sambola is ready. Serve as a side with plain rice. 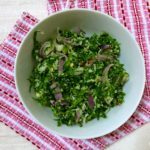 Below are some other salads from Sri Lanka that you must try. Adjust chili & salt according to your taste.